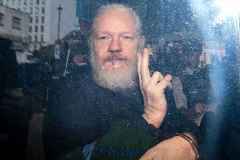 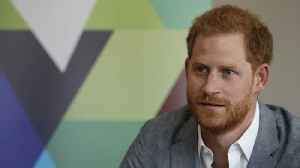 HE HAS spent years protecting the rich and powerful including the likes of Margaret Thatcher and Prince Philip, and now he has started his own self-defence business to help people protect themselves. 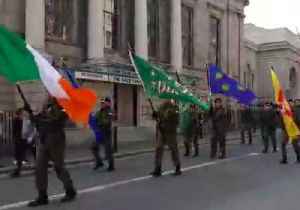 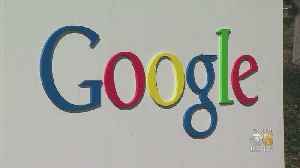 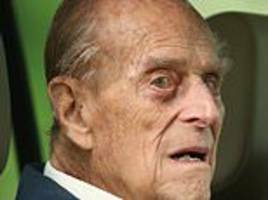 Hampshire County Council is investigating how a webpage stating Prince Philip had died was published. 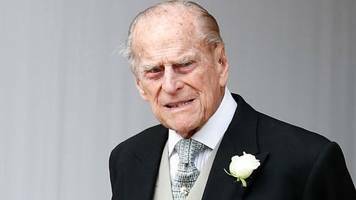 Prosecuting the Duke of Edinburgh over January's crash is "not in the public interest", says the CPS. 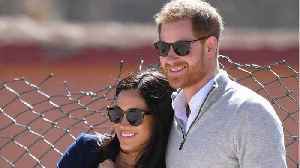 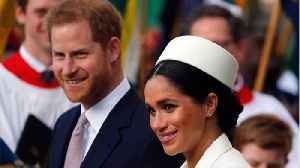 Meghan Markle will need stronger crystals and a firmer deep tissue massage to reach the serotonin (happy hormones) as her heart is “broken beyond repair”. 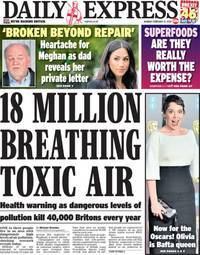 The Express has news that Meghan is pained.. 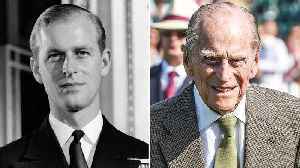 PRINCE Philip has given up his fighter pilot’s license at the relatively young age of 97. 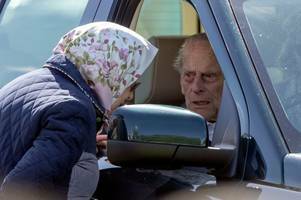 The Duke of Edinburgh's police file is locked in an inspector's draw, a witness to his collision at Sandringham said, as she suggested officers were giving Prince Philip special treatment. 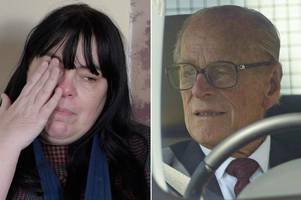 Safety charity Brake has led calls for mandatory eyesight and medical tests for elderly drivers in the UK since Prince Philip's crash. 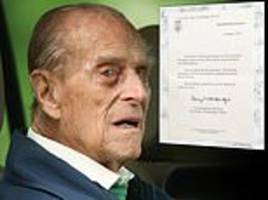 The Duke of Edinburgh (pictured) voluntarily surrendered his licence after he flipped his Land Rover in Norfolk but will be able to drive on royal grounds. 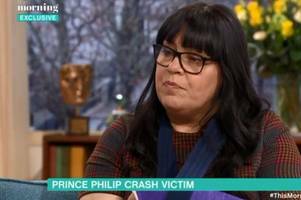 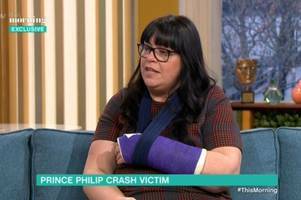 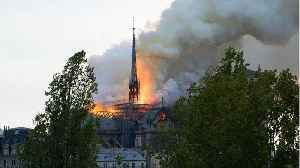 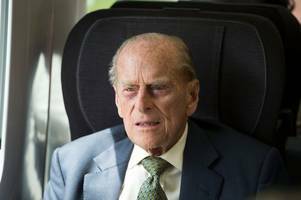 Prince Philip, 97, was left uninjured by the crash but one of the two women injured by the smash called for the Duke to be prosecuted. 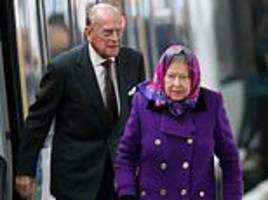 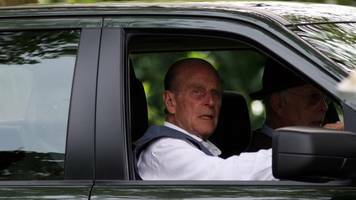 Queen Elizabeth's 97-year-old husband Prince Philip has voluntarily given up his driving license after a crash last month, Buckingham Palace said on Saturday. 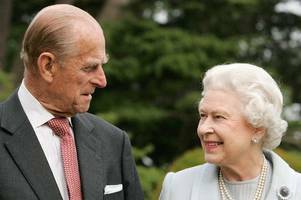 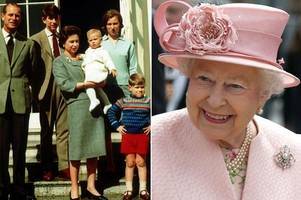 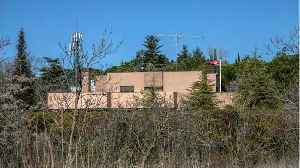 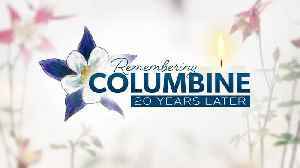 The Queen - who usually returns to London after the anniversary of her father's death on February 6 - will remain at Sandringham until next week, royal sources have disclosed. 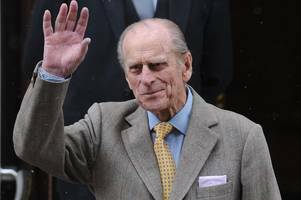 Prince Philip has sent out thank you notes to members of the public who sent letters to him following his accident in Sandringham on January 17.